Or 6 payments of $20.00 with What's this? The Clayton Dot Business Shirt is a perfect shirt for when you need to look crisp, clean and pulled together (without much effort). 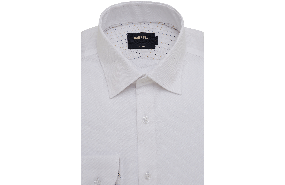 Made from 100% cotton, its features include double button cuff and a subtle dotted pattern that is easy to match well with almost any suit or blazer and tie.